Below is a schedule with the next week of playoff games involving Section 9 teams. Lets pray that Mother Nature holds up, and allows games to go on as scheduled. For that reason, these dates & times are subject to change. Scroll all the way down for an easier-to-read version of Section 9 playoff games sorted by day. Quarterfinals – Plays winner of Mount Vernon / Elmira at SUNY New Paltz, Saturday at 10 a.m.
First Round – Plays Poughkeepsie at Mount Saint Mary, Wednesday at 7 p.m.
Quarterfinals – Winner plays Johnson City at Floyd L. Maines Arena (Binghamton) on Sunday. First Round – Plays Dobbs Ferry at Poughkeepsie High School, Wednesday at 7:45 p.m.
Quarterfinal – Winner plays the winner of Section 8 & 11 first round game at a date & time TBD. First Round – Plays Tuckahoe at Mount Saint Mary tomorrow at 7:30 p.m.
Quarterfinal – Winner plays the winner of Section 8 & 11’s first round game at a date & time TBD. First Round – Plays Section 8/11 at Mount Saint Mary tomorrow at 6 p.m.
Quarterfinal – Winner plays the winner of Section 4 & 1’s first round game at a date & time TBD. Quarterfinals – Plays winner of Ossining / Section 4 at SUNY New Paltz, Saturday at noon. First Round – Plays Tappan Zee at Mount Saint Mary, Wednesday at 5 p.m.
Quarterfinals – Winner plays Section 4 at Floyd L. Maines Arena (Binghamton) on Sunday. First Round – Plays Irvington at Mount Saint Mary, Tuesday at 6:30 p.m.
Quarterfinals – (If Marlboro wins) they will play Section 8 or 11 at SUNY New Paltz, Saturday at 3:30 p.m.
First Round – Plays Haldane at Mount Saint Mary, Tuesday at 5 p.m.
Quarterfinals – (If Millbrook wins) they will play (Section 1) at SUNY New Paltz, Saturday at 1 p.m.
First Round – Plays Bridgehampton at Mount Saint Mary, tomorrow at 4:30 p.m.
For fans of Section 9 basketball – here are a list of games that will take place by day this week. 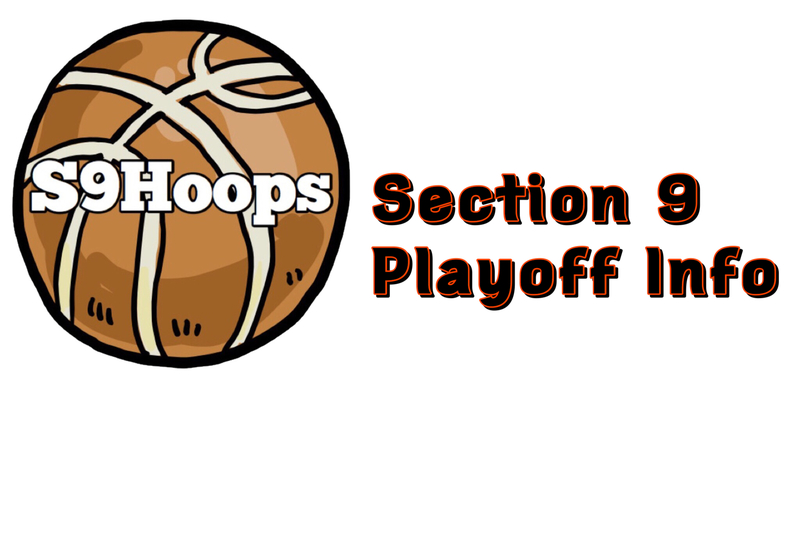 Monday: Class D Boys (Roscoe) & Girls (Livingston Manor) Sub-Regional at Mount Saint Mary. Girls at 4:30 p.m. & boys at 6 p.m. Class C boys (Millbrook) Sub-Regional at Mount Saint Mary at 7:30 p.m.
Tuesday: Class B Girls (Marlboro) Sub-Regional (6:30 p.m.) and Class C Girls (Millbrook) Sub-Regional at Mount Saint Mary at 5 p.m.
Wednesday: Class AA Boys & Girls final at SUNY New Paltz – Middletown vs. Kingston (Boys) at 5:30 p.m. & Warwick vs. Monroe-Woodbury (Girls) at 7:30 p.m. Class A Girls (FDR) at 5 p.m. and Class A Boys (New Paltz) Sub-Regionals at 7 p.m. at Mount Saint Mary. Class B Boys (Ellenville) at Poughkeepsie High School at 7:45 p.m.
Thursday: Nothing as of now, any cancellations may change that. Friday: Nothing as of now, any cancellations may change that.